The Wacky Haircut for Brain Tumor Research…Thank you for Donating!!! 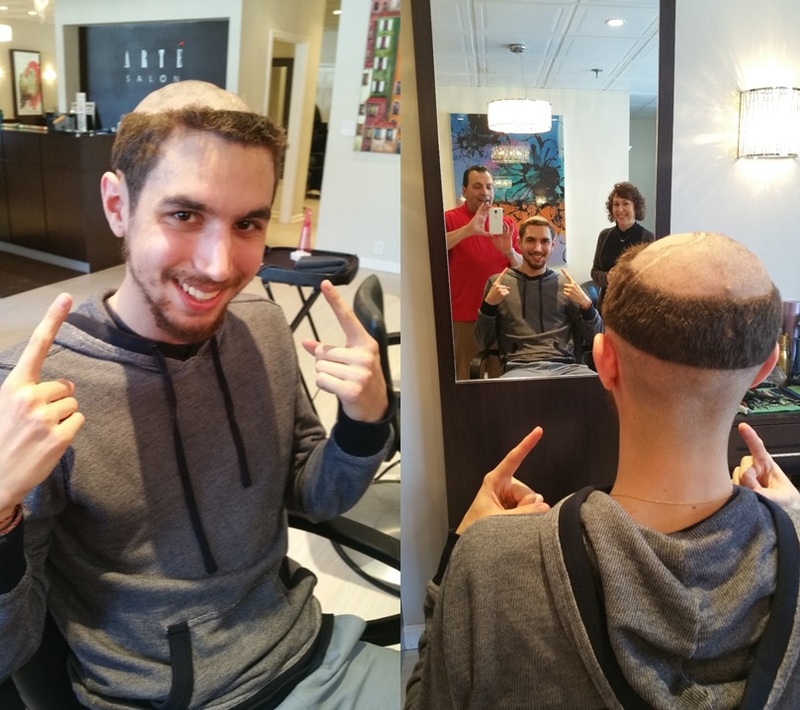 You Donated…And I got a pretty wacky haircut because of it! In just one week, we raised $2,014.36 towards brain tumor research (…and a wacky haircut)!!! A BIG thank you to “Eddie” Eduardo Tramontozzi for offering your wonderful artistic talent and time to the most stylish monk-cut I have ever seen! Thank you again to everyone who donated over the last week! Our team is already 60% of the way towards our $20,000 goal! There are still 70 days left until the Boston Brain Tumor Ride on May 17th! Please support crucial brain tumor research by joining the ride or donating. Together, we can create a future with better treatments, and eventually a cure for brain tumors! CLICK HERE to support the ride! Thank you again to everyone who donated, Eddie, Salon Arte, and also my mom for helping organize the haircut. Jeremy, That looks like a reverse kippah. If yu would like a real ne to cover your “nakedness<: let me know. If I have just the one for you. Cheers and greetings to your mom and dad..
Next PostNext Update – 1 week to go!